If there’s any Filipino food that comes as a close second to the already famous adobo, it’s probably lumpiang shanghai or fried spring rolls. Jeff Donahue and Wade McElroy, owners of Ludlow Liquors in Chicago, wanted a food concept that would “symbiotically exist as its own entity” within their bar. 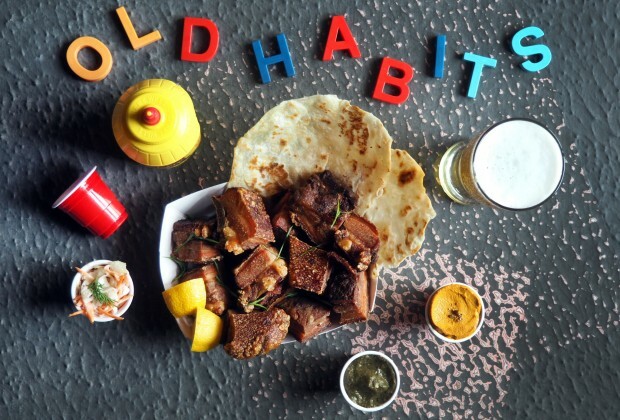 Thanks to a Filipino friend, the idea of a pop-up was quickly replaced by a restaurant concept called Old Habits. The friend, Nick Jirasek, would talk about his Chicago upbringing and old childhood habits, such as dipping fries in malted vanilla ice cream and other tasty throwbacks. The restaurant’s spring menu will also feature rice bowls, including Filipino adobo made with pork shoulder, jerk chicken with American cheese, and a vegan kimchi bowl. “We want Ludlow and Old Habits to be a place where people cultivate a big group of friends who became friends because they were regulars at the bar,” said McElroy. Old Habits is located at 2959 N. California Ave., Avondale, Chicago, Illinois.